The Countryman BGA HD 12x50 binoculars are one of the few high quality, high magnification models currently available, they little bit extra magnification can be very useful at times. 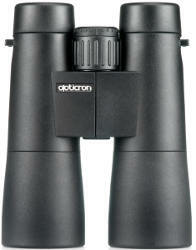 08/10/2013 19:12:25 can you confirm what material this binocular is made from? I know they are rubber armoured etc but Im talking about the underlying tube(s) structure, and also what colour they are? 09/10/2013 09:35:53 Having spoken to Opticron, they are made of Aluminium. The rubber armouring is a very dark grey/black colour. 04/12/2015 15:09:06 Thanks for another manigfnceit article. Where else could anyone get that kind of information in such a perfect method of writing? I have a presentation subsequent week, and I'm on the search for such information. 04/12/2015 15:20:10 Thank you for your comments - glad to be of help. Lets hope you buy a pair from us.